Portugal is a popular family holiday destination in the Algarve, with a wide variety of family-friendly resorts to choose from. In choosing a resort for your family, be sure to find out if the on-site kids clubs take children of ages that suit your family. Many clubs will only take children over the age of four. 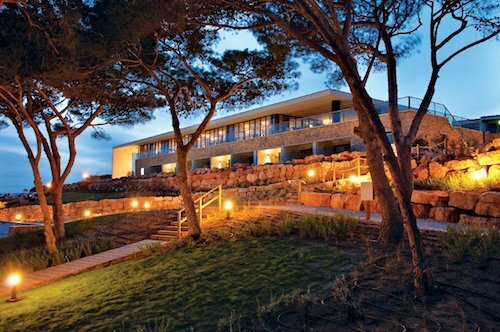 However, if you are a family with a toddler who would like to join a kids club then the Martinhal Beach Resort & Hotel could be a great option. This hotel has a kids club which caters to children as young as two years old. The resort also has an array of other child-friendly features, such as entertainment in the form of treasure hunts and face-painting. The hotel even offers a baby concierge, which can provide you with pushchairs and other baby essentials on request. The hotel also boasts four large swimming pools to ensure your children never get bored, as well as healthy children’s snacks. 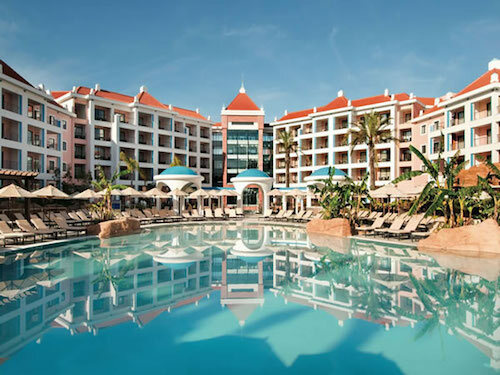 < Another great child-friendly hotel is the Hilton Vilamoura Resort, which offers kids clubs for children over four, as well as on-site babysitters so that adults can enjoy a bit of time to themselves if they so wish. This resort benefits from a shuttle bus which makes journeys back and forth from the beach, so families wishing to spend some time away from the hotel don’t need to hire a car. Half Board, Full Board, Never Bored! When choosing your child-friendly resort in Portugal, take a moment to think about the level of board you want to be available to your family for the duration of your holiday. Choosing an all inclusive deal may be less stressful if you have a large family because it eliminates the need to find the local holiday supermarket and plan and cook meals for your loved ones. All inclusive deals also usually represent great value for money, especially if your family eat and drink a lot. Half-board or bed and breakfast deals may be more suitable for your family if you like to explore the local region. If you plan to hire a car and take day trips then this will definitely be a better option for you, as you won’t always be on-site at the resort to take advantage of the food that you have pre-paid for in an all inclusive deal. You can build tailor made holidays to your own design. Using comparison websites is a great idea because they allow you to access a large variety of different options, such as travel dates, flight times, different hotels, different holiday lengths and resorts of different standards. 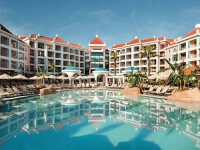 Finding a child-friendly resort in Portugal should not be a difficult task. If you are looking for a great all inclusive deal then check out online Travel Agents and price compare websites. This is a great way to save on holiday expenses and spread the cost of your trip, especially as there are no further payments until March 2014!